Home › Additional Evidence › Allahabad High Court › Further Evidence › Section 391 Cr.P.C. Criminal P.C. 1973 - S.391 - Appellate Court may take further evidence or direct it to be taken - Even at the stage of hearing of an appeal before a High Court, it is possible that additional evidence is permitted to be led. The primary object of Section 391 Cr.P.C is to prevent the failure of justice that may outcome by some careless or ignorant action on part of the prosecution before the court or for vindication of an innocent person wrongfully accused, where the court omitted to record the evidence essential to elucidation of truth. To prevent the Happening of a de novo trial,which may be prejudicial to the accused or prosecution, depending upon the facts and circumantances of each case. The power has to be exercised with great care, caution and circumspection to meet the ends of justice. The power not to be used for filling up the lacuna in the prosecution evidence, but to serve the ends of justice or to prevent the failure of justice, Only in exceptional and suitable cases, where the Court is satisfied that directing additional evidence would serve the ends of justice. If the Appellate Court finds that certain evidence is necessary in order to give a correct and proper finding, it would be justified in exercising this power. The ends of justice have to address as much the interests of the accused as that of the public prosecutor. Hon'ble Anil Kumar, J. & Hon'ble Mohd. Faiz Alam Khan, J.
Shanker @ Shiv Shanker Verma & Another v. State of U.P. 1. Heard learned counsel for the appellants as well as Sri C.S. Pandey, learned A.G.A. for the State. The present application has been moved on behalf of appellants under Section 391 Cr.P.C. to grant permission to file additional evidence (copy of statement of informant of this case recorded in other criminal case Gangster Case No. 201 of 2010 State vs. Ram Sajivan Yadav) in the instant criminal appeal. 2. Facts necessary for disposal of this application are that Sri Laxmi Narain lodged an FIR on 05.02.2010 at 17.15 at ps kothi District Barabanki stating that when on the same day around 3.00 pm he was returning from Barabanki, and when he reached at Kotwa Mor , accused Guddu @ Saroj, who was driving a Maruti Car bearing registration No. UP 41 A -9494, other accused persons Ram Sajivan,Hanoman and shanker sitting inside, hit the motorcycle on which deceased Jai Narain was sitting. When his brother fell down accused Hanoman and Shanker caught hold the deceased, while accused Ram Sajivan fired at his mouth from point blank range, causing his death instantly. 3. Appellants Ram Sajiwan Yadav, Hanoman, Shanker @ Shiv Shanker Verma and Guddu @ Saroj were tried by the trial Court for the offences punishable under Section 302, 307, 504, 506 I.P.C and Section 7 Criminal Law Amendment Act in SessionsTrial No. 544 of 2010 (State of U.P. vs. Ram Sajiwan Yadav & others) arising out of Case Crime No. 66 of 2010 Police Station Kothi District Barabanki. Sri Laxmi Narain informant of this case was testified as prosecution witness no.1 and also supported the prosecution version of the incident. 4. The trial Court vide judgment and order dated 24.8.2013 convicted the appellants under Section 302/34 I.P.C. and sentenced to undergo rigorous imprisonment for life with a further stipulation to pay fine of Rs.20,000/- or to undergo one year imprisonment in default. They were further convicted and sentenced to undergo rigorous imprisonment for seven years along with fine of Rs.5000/- with regard to offence under Section 307/ 34 I.P.C., six months rigorous imprisonment for offence under Section 504 and two years rigorous imprisonment to each of accused under Section 506 I.P.C. Appellants were further convicted and sentenced to undergo rigorous imprisonment for six months for the offence committed under Section 7 Criminal Law Amendment Act. In addition Appellant Ram Sajiwan Yadav was also convicted under Section 3/25 of Indian Arms Act and sentenced to undergo rigorous imprisonment for two years and fine of Rs.5000/- or to undergo simple imprisonment for five months in default. 5. Aggrieved by the aforesaid judgment and order dated 24.8.2013 accused-appellants Shanker @ Shiv Shanker Verma and Guddu @ Saroj preferred instant Criminal Appeal No. 1293 of 2013 which was admitted for hearing vide order dated 19.9.2013. 6. It is also worth mentioning that during the pendency of this Appeal, bail applications were moved by Appellants and the first bail application of appellant No.1/Shankar @ Shiv Shankar Verma has been rejected vide order dated 08.07.2014 and the first, second and third bail application of appellant No.2/Guddu @ Saroj has been rejected vide order dated 10.04.2014, 30.05.2014 and 06.02.2017. 7. Thereafter Appellants moved instant application under Section 391 Cr.P.C requesting to grant permission to file additional evidence(copy of statement of Sri Laxmi Narain recorded inother criminal case ) in the instant appeal. In the affidavit accompanying application , it is stated that statement of the informant of instant case i.e. Sri Laxmi Narain has been recorded before the Court of Special Judge Gangster Act, Court No.4, Barabanki on 18.12.2017, in a Gangster Case No. 201 of 2010 ,State vs. Ram Sajivan Yadav, which is a connected case of instant case wherein he has stated that after the incident he had gone to police station by motorcycle and met with the Sub- Inspector and told him about the murder of his brother committed by some unknown persons. The said Sub-Inspector told him that name of some inimical persons should be mentioned in application and only then some action may be taken . Thereafter he mentioned the name of some inimical persons of the village in the F.I.R. 8. The Appellant on the basis of above statement of Sri Laxmi Narain, recorded in other criminal case, moved an application under section 391 of the Cr.P.C., to take a copy of this statement on record as additional evidence. 9. Learned counsel for the appellants while pressing the application has overwhelmingly argued that the informant of instant case, Sri Laxmi Narain, was examined in the instant Session Trial as PW-1, wherein he supported the prosecution. His evidence was again recorded in connected Gangster Case No. 201 of 2010 (State vs. Ram Sajivan Yadav) wherein he has given evidence to the effect that he had implicated the accused-appellants on the behest of a Sub-Inspector of police, who told him to mention the names of some inimical persons in F.I.R. According to learned counsel for the appellant, the evidence recorded in the connected Gangster Case No. 201 of 2010 is a material piece of evidence, which shows that the witness PW-1 Sri Laxmi Narain is not reliable and the whole prosecution story is concocted and fabricated and, therefore, this material piece of evidence be kept on record as additional evidence. Learned counsel for the appellant, in support of his contention has relied on a judgment dated 4.8.2015 of the Madras High Court passed in Crl.O.P. No. 26698 of 2009 United Steels vs. Ponneri Steels Industries andalso on Zahira Habibullah Sheikh and Another vs. State of Gujrat reported in AIR 2004 SC 3114. 10. Learned A.G.A. while opposing the application submits that the application has been moved for the purpose of causing delay in the disposal of criminal appeal, the accused-appellants has never moved any application before the Court below for production of any evidence nor has produced any evidence in their defence, so they are precluded from filing any additional evidence at the appellate stage. Learned A.G.A. also submits that additional evidence at appellate stage cannot be filed as a matter of routine and the same may only be permitted to be filed in the rarest of rare cases, only when the Court finds that the evidence proposed to be adduced is material for final and just disposal of the appeal and for doing justice. According to him this power must be exercised with great care and caution so that it may not operate in any manner prejudicial to the prosecution. Sri Laxmi Narain, who is also the informant and eye witness of the incident has been testified as P.W.-1 before the Court below, who in his evidence has supported the version of the prosecution.It appears that after the pronouncement of judgment in the present case he has been won over by the Accused/appellants. He further submits that Gangster Case No. 201 of 2010 (State vs. Ram Sajivan Yadav) arising out of Case Crime No. 366 of 2010 under Section 3(1) U.P. Gangster Act PS Kothi District Barabanki is not in any way connected with the facts of this case as the trial Court has decided this case on the basis of the evidence adduced by the prosecution before the trial court, therefore, the application moved by accused-appellants be rejected. "391. Appellate Court may take further evidence or direct it to be taken. (1) In dealing with any appeal under this Chapter, the Appellate Court, if it thinks additional evidence to be necessary, shall record its reasons and may either take such evidence itself, or direct it to be taken by a Magistrate, or when the Appellate Court is a High Court, by a Court of Session or a Magistrate. (4) The taking of evidence under this section shall be subject to the provisions of Chapter XXIII, as if it were an inquiry." “There is, no doubt, some analogy between the power to order a retrial and the power to take additional evidence. The former is an extreme step appropriately taken if additional evidence will not suffice. Both actions subsume failure of justice as a condition precedent. There the resemblance ends and it is hardly proper to construe onesection with the aid of observations made by this Court in the interpretation of the other section. "15. ... such power must be exercised sparingly and only in exceptional suitable cases where the court is satisfied that directing additional evidence would serve the interests of justice. It would depend upon the facts and circumstances of an individual case as to whether such permission should be granted having due regard to the concepts of fair play, justice and the well-being of society." "15. ... Such an application for taking additional evidence must be decided objectively, just to cure the irregularity. The primary object of the provisions of Section 391 Cr.P.C. is the prevention of a guilty man's escape through some careless or ignorant action on part of the prosecution before the court or for vindication of an innocent person wrongfully accused, where the court omitted to record the circumstances essential to elucidation of truth. Generally, it should be invoked when formal proof for the prosecution is necessary." "...To deny the opportunity to remove the formal defect was to abort a case against an alleged economic offender. Ends of justice are not satisfied only when the accused in a criminal case is acquitted.The community acting through the State and the Public Prosecutor is also entitled to justice. The cause of the community deserves equal treatment at the hands of the court in the discharge of its judicial functions. The community or the State is not a persona-non-grata whose cause may be treated with disdain. The entire community is aggrieved if the economic offenders who ruin the economy of the State are not brought to book. A murder may be committed in the heat of moment upon passions being aroused. An economic offence is committed with cool calculation and deliberate design with an eye on personal profit regardless of the consequence to the community. A disregard for the interest of the community can be manifested only at the cost of forfeiting the trust and faith of the community in the system to administer justice in an even- handed manner without fear of criticism from the quarters which view white collar crimes with a permissive eye unmindful of the damage done to the national economy and national interest....."
"Incidentally, Section 391 forms an exception to the general rule that an Appeal must be decided on the evidence which was before the Trial Court and the powers being an exception shall always have to be exercised with caution and circumspection so as to meet the ends of justice. Be it noted further that the doctrine of finality of judicial proceedings does not stand annulled or affected in any way by reason of exercise of power under Section 391 since the same avoids a de novo trial. It is not to fill up the lacuna but to subserve the ends of justice. Needless to record that on an analysis of the Civil Procedure Code,Section 391is thus akin to Order 41, Rule 27 of the C.P. Code." "47. Section 391 of the Code is another salutary provision which clothes the Courts with the power to effectively decide an appeal. Though section 386 envisages the normal and ordinary manner and method of disposal of an appeal, yet it does not and cannot be said to exhaustively enumerate the modes by which alone the Court can deal with an appeal. Section 391 is one such exception to the ordinary rule and if the appellate Court considers additional evidence to be necessary, the provisions in Section 386 and Section 391 have to be harmoniously considered to enable the appeal to be considered and disposed of also in the light of the additional evidence as well. For this purpose it is open to the appellate Court to call for further evidence before the appeal is disposed of. The appellate Court can direct the taking up of further evidence in support of the prosecution; a fortiori it is open to the Court to direct that the accused persons may also be given a chance of adducing further evidence. Section 391 is in the nature of an exception to the general rule and the powers under it must also be exercised with great care, specially on behalf of the prosecution lest the admission of additional evidence for the prosecution operates in a manner prejudicial to the defence of the accused. The primary object of Section 391 is theprevention of guilty man’s escape through some careless or ignorant proceedings before a Court or vindication of an innocent person wrongfully accused. Where the Court through some carelessness or ignorance has omitted to record the circumstances essential to elucidation of truth, the exercise of powers under Section 391 is desirable. 48. The legislative intent in enacting Section 391 appears to be the empowerment of the appellate court to see that justice is done between the prosecutor and the persons prosecuted and if the appellate Court finds that certain evidence is necessary in order to enable it to give a correct and proper findings, it would be justified in taking action under Section 391. 49. There is no restriction in the wording of Section 391 either as to the nature of the evidence or that it is to be taken for the prosecution only or that the provisions of the Section are only to be invoked when formal proof for the prosecution is necessary. If the appellate Court thinks that it is necessary in the interest of justice to take additional evidence it shall do so. There is nothing in the provision limiting it to cases where there has been merely some formal defect. The matter is one of the discretion of the appellate Court. As reiterated supra the ends of justice are not satisfied only when the accused in a criminal case is acquitted. The community acting through the State and the public prosecutor is also entitled to justice. The cause of the community deserves equal treatment at the hands of the Court in the discharge of its judicial functions." 18. What can be summarized from the above decisions are (i)That the primary object of Section 391 Cr.P.C is to prevent the failure of justice that may outcome by some careless or ignorantaction on part of the prosecution before the court or for vindication of an innocent person wrongfully accused, where the court omitted to record the evidence essential to elucidation of truth. (ii) To prevent the Happening of a de novo trial,which may be prejudicial to the accused or prosecution, depending upon the facts and circumantances of each case. (iii) The power has to be exercised with great care, caution and circumspection to meet the ends of justice. (iv) The power not to be used for filling up the lacuna in the prosecution evidence, but to serve the ends of justice or to prevent the failure of justice, Only in exceptional and suitable cases, where the Court is satisfied that directing additional evidence would serve the ends of justice. (v) If the Appellate Court finds that certain evidence is necessary in order to give a correct and proper finding, it would be justified in exercising this power. The ends of justice have to address as much the interests of the accused as that of the public prosecutor. 19. Reverting to the facts of the case at hand, the main contention of the learned counsel for the appellants for tendering additional evidence is that informant of the instant case Sri Laxmi Narain has not supported the prosecution version while giving evidence in the connected criminal case pertaining to Gangster Act. Learned counsel for the appellants has enclosed a certified copy of that statement of the witness i.e. Laxmi Narain along with the affidavit. Perusal of the statement of Sri Laxmi Narain informant of the instant case which has been testified as P.W.-5 in Gangster Act case, shows that in his examination-in-chief recorded on 18.12.2017, he has supported the prosecution version by stating clearly that his brother Jai Narain was murdered by Ram Sajivan, Shiv Shanker Verma , Guddu @ Saroj and Hanoman. He had also categorically stated the manner in which his brother was killed by accused persons. So much so he also proved the First Information Report of the instant case. Significantly, he was not cross-examined on the same day by the accused persons and his cross-examination was deferred. He was cross-examined on 19.12.2017(the next day.) wherein he resiled from his earlier statement and stated that he lodged the First InformationReport at the instance of a Sub-Inspector. Learned A.G.A. has contended that after being examined-in-chief on 18.12.2017, purposely no cross-examination has been done on the same day and probably on the next day he had been won over and have not supported the version of prosecution. 20. Significantly Sri Laxmi Narain has already been examined by the Court below as P.W.-1 and he had been cross examined by the accused persons at length. In his in chief and cross examination, he supported the version of prosecution. He was examined in this case on 7.10.2010 and in the case pertaining to Gangster Act his evidence was recorded on 18.12.2017(After 8 years from the date his evidence was recorded in the instant case and after five years from the pronouncement of judgment by the Lower Court in the instant case). If we put all these facts and circumstances on the touchstone of bona-fide , it appears that the same is lacking. 21. Learned counsel for the Appellants failed to impress as to how the evidence given in other criminal case is material for the just disposal of this appeal. The statement of Sri Laxmi Narain ,to which Appellants proposes as an additional evidence, has been recorded in a different criminal case pertaining to the Gangster Act and therefore does not appears necessary for the just disposal of this case. It has to be kept in mind that this is not a case where the evidence of Sri Laxmi Narain has not been recorded before the Court below, rather it is a case where his evidence had been recorded and he had been cross-examined at length by the Appellants and after taking into account his evidence as well as other evidence available on record, appellants have been convicted by the trial court. Therefore any statement given by this witness after a lapse of 8 years, in some other criminal case, which has no concern with the occurrence that took place in the instant case, may be neither relevant nor material for the just disposal of this appeal. No doubt the role of a Criminal Court is to search the truth and Criminal Courts, in this regard, has been empowered by many sections provided in the Code of Criminal Procedure but all these powers, including the power given under Section 391 of Cr.P.C., should be used to serve the ends of justice, in exceptional and suitable cases, where the Court is satisfied that taking additional evidence would serve the ends of justice. 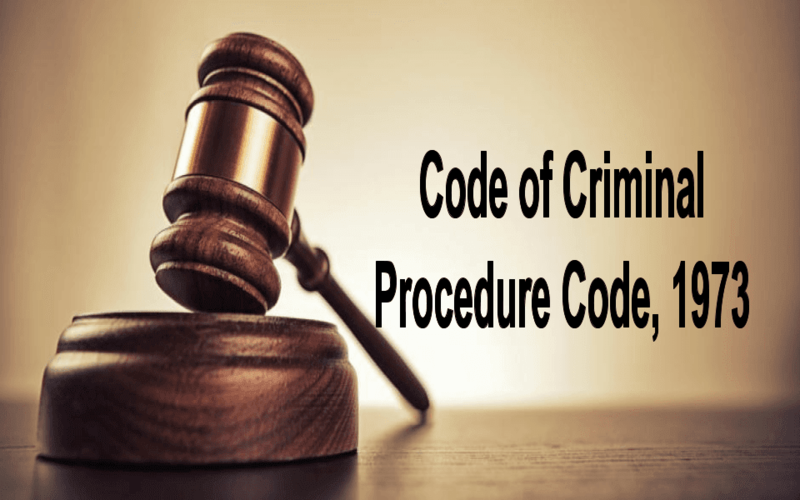 It is inthe sole discretion of the Appellate Court, when it finds certain evidence necessary, in order to give a correct and proper finding it would be justified in exercising the power conferred by Section 391 of the Cr.P.C. No need to highlight that this power should not be used for the detriment of any party, including the prosecution or accused. 22. In our considered opinion, when the evidence of Sri Laxmi Narain has already been recorded by the Court below as PW-1, neither his statement given in any other criminal case is a material evidence nor is required for the just decision of this case, therefore, the ends of justice will meet in rejection of the application moved by appellants under section 391 of Cr.P.C. Keeping in view the factual and legal position mentioned herein before, the application moved by accused-appellants, under Section 391 of Cr.P.C., to tender additional evidence is devoid of any substance and is hereby rejected. The paper book has already been prepared and is available on record. List this appeal after two weeks for final hearing. Label: Additional Evidence Allahabad High Court Further Evidence Section 391 Cr.P.C.